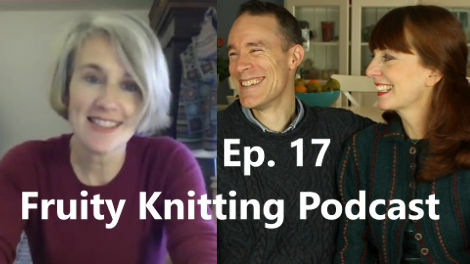 Marie Wallin, head designer at the internationally known yarn producer Rowan for over 10 years, joins us as our guest on the Fruity Knitting Podcast Episode 17. 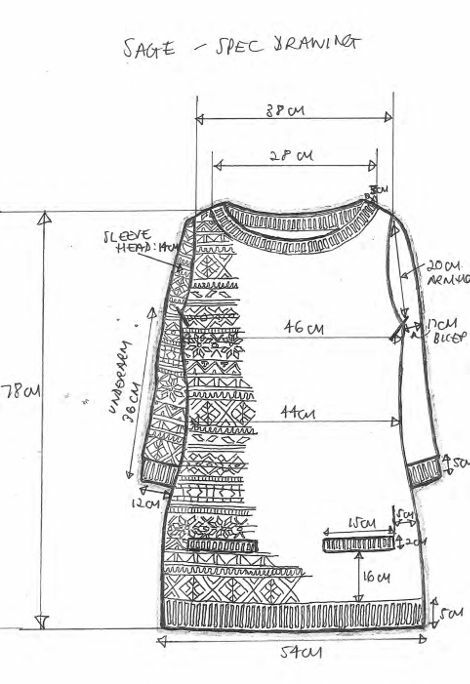 Marie talks about her career as a designer of commercial and hand-knitted garments, and gives us an insight into her design process. 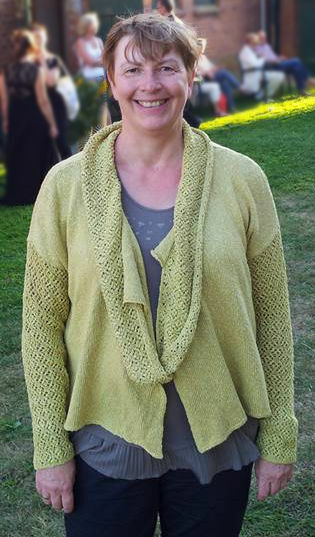 Our guest on Knitters of the World is Ute Rehner, accomplished knitter and crafter. Andrea shows us her Anne Boleyn from Alice Starmore’s Tudor Roses, we announce our KAL winners, and more! Marie Wallin names her artist father as an influence and supporter of her entry into the world of art and design. Marie completed formal studies in design before setting up a successful independent label, selling knitted products in the UK and internationally. She worked in a commercial environment, designing garments for a manufacturer and seeing her works gain popularity. In 2005 Marie moved back to the hand-knitting world, taking a position at the design-driven UK yarn producer Rowan as Head Designer. The Rowan Magazine, produced twice yearly for the Spring/Summer and Autumn/Winter seasons, is a staple of the European knitting community. 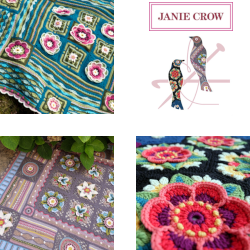 In her role as Head Designer, Marie oversaw the collections and the production of the magazine, working with names like Lisa Richardson, Sarah Hatton, Martin Storey and Kaffe Fassett. In the interview Marie stresses that she is very much focused on the fabric when designing a garment. Color and pattern come first, and the shape of the garment comes later. Her description of combining colors, aiming to keep the “value” or brightness of combinations fairly close with only occasional exceptions, makes for an extremely harmonious and beautiful fabric design. Once again working independently, Marie has brought out several new collections, often combining crotchet and knitting to produce designs that are modern and beautiful. If you need some support in your Fair Isle knitting, there is the Fairisle Club and workshops. Marie has also organised a “workshop holiday” – four days of Fair Isle knitting in beautiful Yorkshire. This year’s event is already booked out, so if you’re wanting to indulge, you might want to register your interest early for the next event. Ute Rehner is a talented and prolific knitter and the producer of the blog “Heute Strick Ich” which means “Today I’m Knitting” in German. 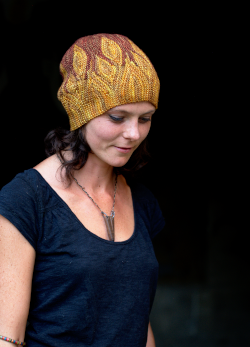 The blog covers Ute’s own projects but also news from the knitting design world. Ute is a big fan of Rowan designs and yarns – the name Marie Wallin shows up often in her posts, as does the Rowan Felted Tweed. Although she has no ambitions to design garments herself, trusting the designers in both pattern and colour choice, Ute does occasionally make her own modifications and enhancements, to good effect. She is not afraid of a challenge and rightly enjoys the admiration that her creations receive. Ute – thank you for sharing your story and your creations with us! Andrea presented her Anne Boleyn designed by Alice Starmore. Andrea has said that this is the most challenging garment that she has knitted – partly because it found some gaps in her experience which she didn’t actually know were there. Up to that time, Andrea had not encountered intarsia. I can remember her puzzlement when the bobbles simply wouldn’t stay where they were meant to be – we now know this should have been done with intarsia, but Andrea had to improvise at the time. 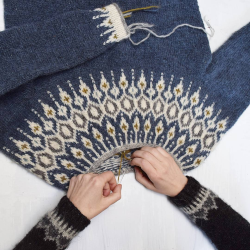 Andrea mentioned the intricate work on the cuffs and the small belt at the back – intarsia, Fair Isle knit and purl, and cabling – all in a single row. Andrea generally sticks to the recommended yarns. Alice and Jade Starmore’s Virtual Yarns produce kits for many (most / all?) 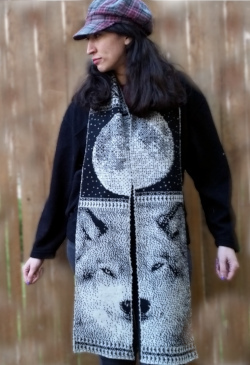 of their designs, in various sizes, and include extra wool for swatching. The recommended gauge is tight but works. The fabric is firm but wearable, looks beautiful and sits well. This is a stunning garment. 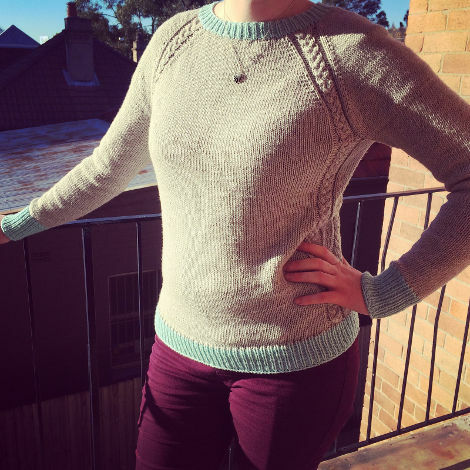 The winner of the First Garment Knit-Along is Grace (vanawillemiel). Congratulations, Grace! Grace knitted the design Flax by Tin Can Knits, adding cables on the sides, which I think has worked really well. Who knitted at very slow pace. Because the last thing it is, is a race. Grace is from Limerick. This literary talent is in her blood. You can hear more from Grace and her knitting and travelling adventures on Babbles Travelling Yarns. We’ll be sending out the prize – The Knowledgeable Knitter by Margaret Radcliffe. Congratulations also to the other Finishers – Michelle (purls-and-lace), Lou Lou (thiswheel) – who spun her yarn before knitting her first garment (!!! ), and Lilli (mijitsu). And to everyone who has not yet finished – keep going! Yaay – woohoo – yaay!! It is so great to see people making the jump to a garment project. And remember that we would love you to submit your selfie video by 20 November – Dropbox link in the Ravelry thread. 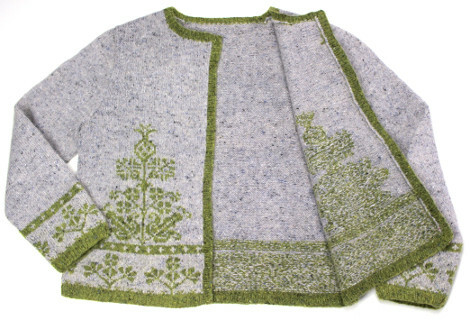 The winner of the Fair Isle Garment KAL is Margaret (margaretstkntqult), from New York. 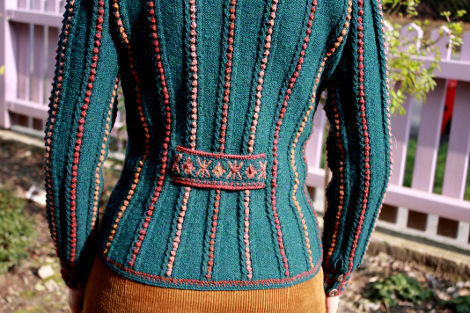 Margaret knitted the Cruden vest by Ysolda Teague. 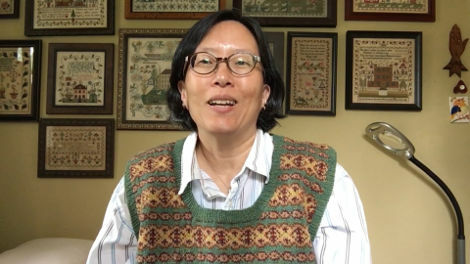 Margaret showed us the vest in the interim video selfies, and I remember noticing that the colors of the vest matched the colors of the pictures on the wall behind her – Margaret clearly knows her own tastes. Whilst checking out Margaret’s Ravelry page, I noticed that she has a blog – daysofasamplerlover.blogspot.com. You’ll find knitty projects, but also refreshing and rambling stories and pictures of travels and life with boy child, girl child, father type and a very patient cat called Mia. Definitely worth a visit. We all love a bit of steeking! Congratulations Margaret! As we mentioned on the podcast, Virtual Yarns has very generously doubled our prize, meaning that there is a 50 Pound gift voucher waiting for you to convert into your next project. Shipping is free worldwide from 25 Pounds so you’re good! Thank you Starmores! 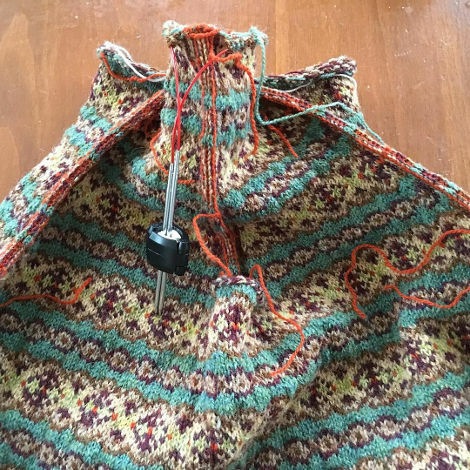 As for the First Garment KAL – if you’re not finished yet – stick to your knitting! Winter is coming (for most of us) and you’re going to need that stunning jumper / sweater / pullover. Get in your selfie videos by 20 November – link in the Ravelry thread. We love your selfies. 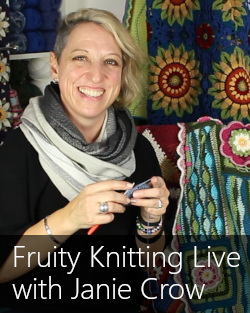 We are so grateful to Joji Locatelli for agreeing to be our guest for our very first Fruity Knitting Live event. This is an online video event, open to our Shetland Patrons as a reward for their support. We are already gathering questions for Joji, and, if we have time, you will be able to ask questions directly during the event. This is a great opportunity to meet with a professional designer. Merino Patrons will receive a recording of the event. 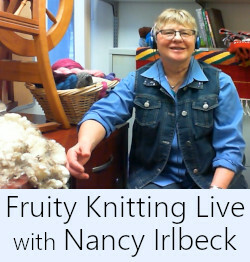 If you would like to take part in this and future events, then check out our Fruity Knitting Podcast Patreon page and consider supporting us. I have a question if you would be so kind to answer me. In the last part ov the podcast Alicia show you one of her favourite sweathers. it is Fair isle knitted in the round on the yoke. Can you tell me the name of the pattern? and if it is in a bokk so I can order it. Hi A+A, I am a patron and was wondering if there is recording of the live video event. Can you tell me the pattern name of the sweater Andrew is wearing? I would love to knit it for my husband! Hi Pam. I think you’re referring to the St Brigid by Alice Starmore. Andrea talks about it right back in Episode 1! Cheers, Andrew.